The Nyasa Partnership - Optional? something we should all be doing, or not? 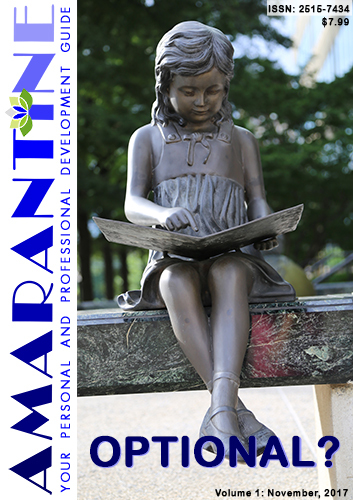 In this issue, Amarantine studies whether Personal and Professional Development is something we should all be doing, or not? Amarantine is dedicated to providing the best source of information, whether you have a personal goal or a professional goal, Amarantine will answer the questions you ask in an inspirational manner that helps you take the next step to achieve your own personal and professional aspirations. Awaken and Empower your Sixth Sense for great success in all things. Personal Development saved my Life. An Option? or a Must? Is Formal Education the Key to Personal and Professional Development and Achievement? By Amarantine|2019-01-27T10:35:00+00:00November 1st, 2017|Amarantine|Comments Off on Optional?